In December 2011, Columbia University Libraries announced a new awards program designed to facilitate research access to the Libraries’ special and unique collections; it became known as the Library Research Awards Program. Each year, the Libraries award ten grants of $2,500 each to those researchers who demonstrate a compelling need to consult Columbia Libraries special collections for their work. All US citizens are welcome to apply and preference will be given to those outside the New York City metropolitan area. The intent of the grant is to help defer the cost of visiting the Libraries for research needs. The Burke Library is one of the libraries that participate in this grant, which is awarded on a competitive basis through an application process. Was lehren uns die Erfahrungen, welche audere Völker bei Kolonisationsversuchen in Afrika gemacht haben? The Missionary Research Library (MRL) was created by John R. Mott in 1914 after the Edinburgh World Missionary Conference of 1910. 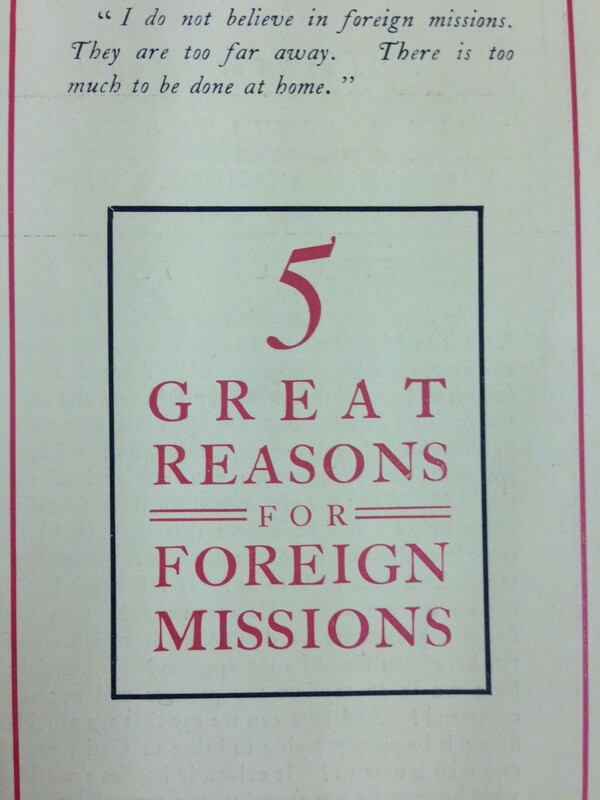 It was created in response to the need for a central resource to provide information for the development and preparation of missionaries, as well as a documentary source for the history of mission work. MRL offered many types of records including pamphlets, which Matthew used; books; and other collections such as archives. 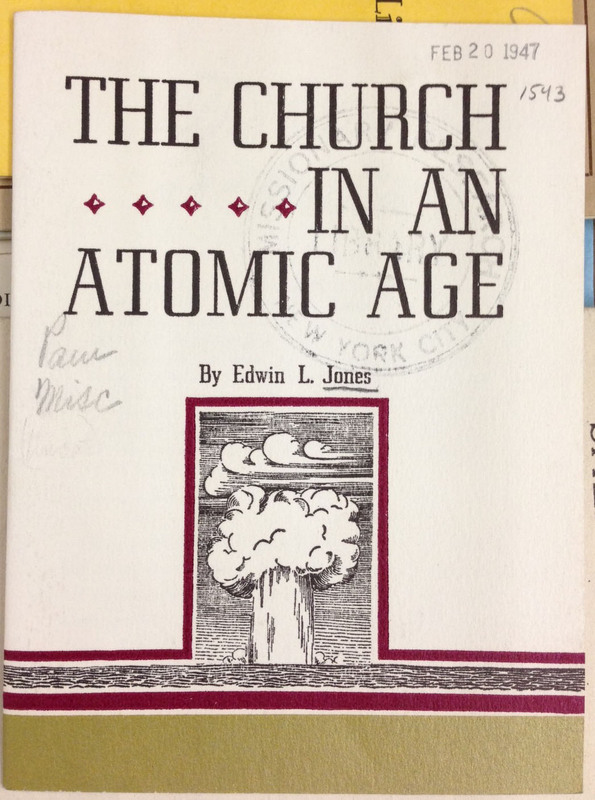 Thanks to a generous grant from the Henry Luce Foundation, the Missionary Research Library Archives are being fulled processed and made available for use. 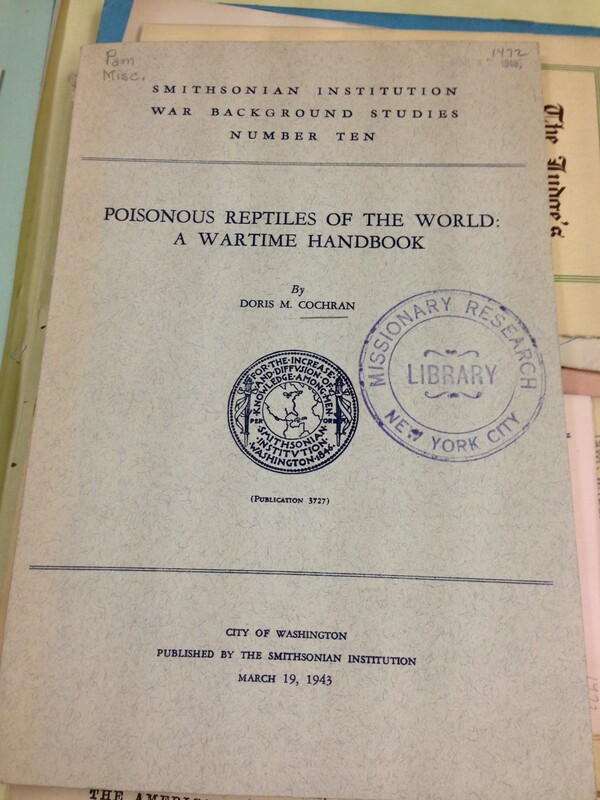 The Burke Library offers so many exciting collections just waiting to be discovered. What will you find on your next research trip? I spent three weeks this summer conducting research for my dissertation at Burke Library. My project explores ideas about race and space in the first decade of the German colonization of today’s mainland Tanzania, Burundi, and Rwanda. Burke Library has the best collection of German missionary publications from the late nineteenth century of any library or archive in the United States, so I applied for a Columbia Library Research Grant to visit the library. I was lucky enough to receive one. My time at Burke was extremely productive. 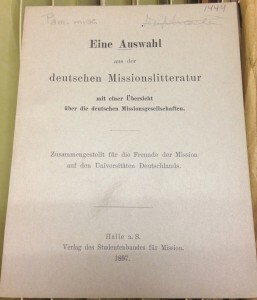 Most of what I was looking at was German missionary periodicals, published by various mission societies around Germany. 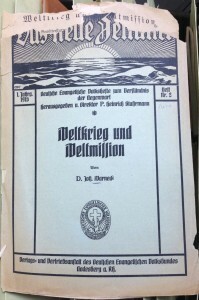 Those periodicals ranged from the semi-official Allgemeine Missions-Zeitschrift to periodicals meant for children, such as the Kleine Missions-Bote. It seemed that many of the materials I was reading had not been opened for a long time. Not all of them were in great shape – some of them were 130 years old and not designed for preservation in the first place – so I usually was covered in a cloud of dust by the end of each day. 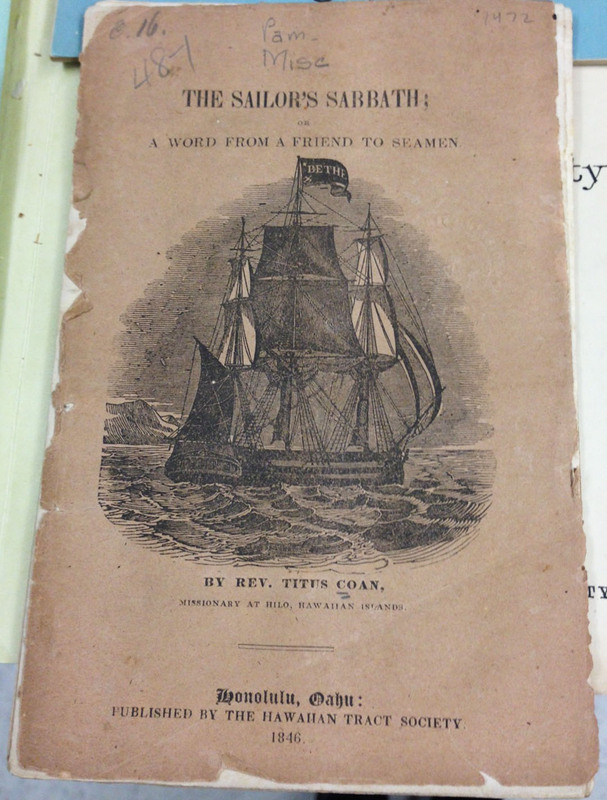 I also took advantage of Burke’s collections of missionary books and pamphlets, some of them in special collections, from the late nineteenth century. 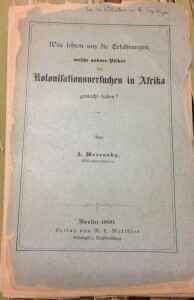 I am using the missionary publications I read at Burke as my main source for local interactions between Germans and Africans in German East Africa. The colonial state was only just beginning to establish control over much of the colony during the period of my study, so missionaries were often the main contact between the state and local populations. Missionaries were often more attuned to local political circumstances and local desires than were central administrators hundreds of miles away. Though they wrote from their own German perspective, missionaries noted instances and circumstances in which people living near the mission reacted particularly strongly to missions’ or the state’s actions. I want to thank the Burke Library’s staff for its help during my time there. The staff was an enormous help in getting me settled and helping me find the materials I needed. The reading room of the library was unquestionably the most beautiful place that I have done research. I look forward to my next trip there to follow up on the work I did this summer. This entry was posted in Collections and tagged German, Library Research Awards, Missionaries, Missionary Research Library, Pamphlets, Research, Researcher Entry on August 28, 2014 by Brigette C. Kamsler.